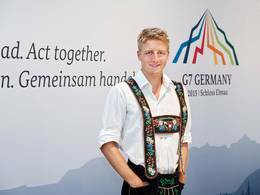 Directly involved: Only few people were able to be as close to the G7 summit at Schloss Elmau at the beginning of June as Florian Schorer. 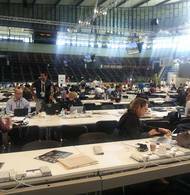 The TUM student was allowed to work in the press center of the G7 meeting and to represent the region. In an interview with TUMstudinews-reporter Sabrina Czechofsky, he reports about his impressions and tells us whose hands he shook at the summit. Florian, what was your job at the G7 summit? I worked as a press manager at the International Media Center in Garmisch. We, about 40 press managers, were distributed across various stations. I was assigned to the information counter, where I handed out welcome presents and often had to help out when there were problems with the Internet. About a month before the summit, I got an email from TUM in which I was asked whether I wanted to apply. The organizers were still looking for students who are registered in the district. "Why not?" I thought to myself – so I applied and was accepted in the end. Before the summit, there were two training sessions to instruct us about who was going to be responsible for what and how we would have to behave. Then, on Saturday morning, it all took its course. Why were the managers supposed to be from the area? Our job was primarily about helping journalists who had questions concerning culture, places of interest and directions. We press managers all wore traditional costumes, making a beautiful picture for journalists from all over the world. What impressions did you take from the G7 summit? It was exciting to take part in something that big. There were more than 3,000 journalists from around the world. It was impressive to see how much organizational effort is behind such events – and to watch everything work out so smoothly. I got to know a lot of nice people, journalists from Trinidad and Tobago or from Canada, for example. Also, my G7-colleagues and I will soon meet in Munich for a little "revival meeting". There were extensive security measures. How was that for you? 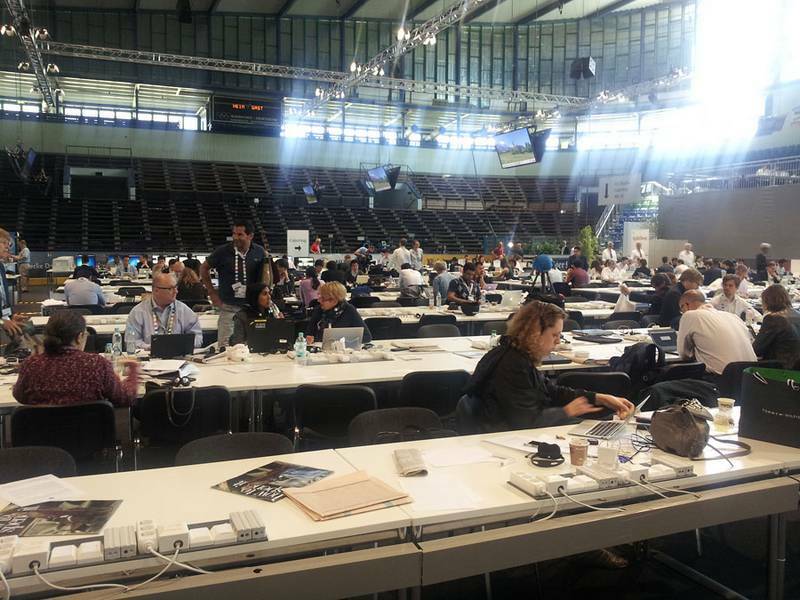 The press center was located in the "Eisstadtion" of Garmisch-Partenkirchen – and there were two security checks outside, where our accreditation was examined thoroughly. Also, there were metal detectors at the entrance, much like at an airport. I was not allowed to take my water bottle inside. Did you also see Barack Obama? No – unfortunately, I did not see Obama. At the welcome evening for the journalists, I was in charge of the photo corner at the press center, where I shook hands with Ilse Aigner and Alexander Dobrindt, who wanted to take a picture with Schloss Elmau in the background. I’m on these photos too – wearing "Lederhosen", of course. After the summit, the press reported about a "Disneyland-atmosphere". How did you feel about that? "Disneyland"? I wouldn’t say so. The official photos of Barack Obama with the beer glass might seem a bit too staged, but my impression from the press center was that the foreign journalists were really interested. They had many questions – also about our costumes, about the meanings of the flowers or the emblems on my braces. Some of them wanted to take pictures with us, but I didn’t feel like Mickey Mouse. Florian Schorer (24) is in the 4th semester of his Master’s studies of TUM-BWL. Originally, he is from Eschenlohe, just 20 km away from Garmisch-Partenkirchen. 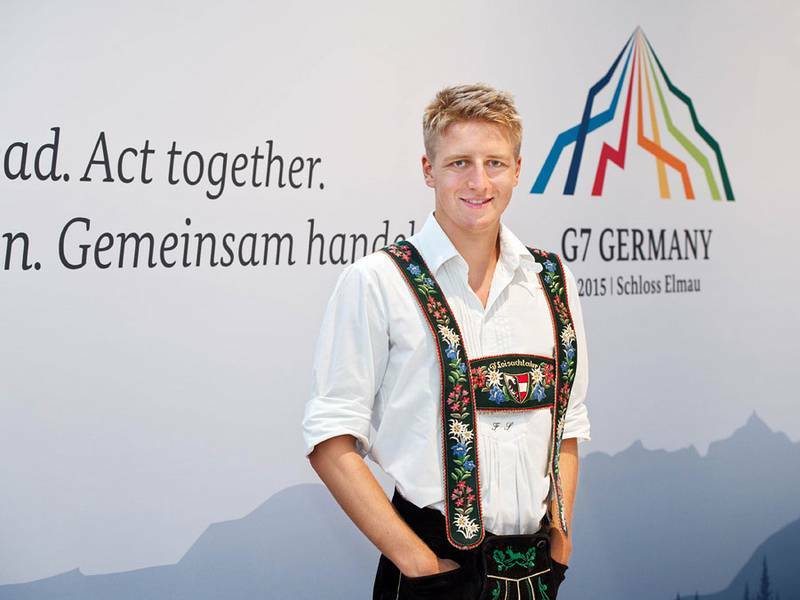 He moved to Munich for his studies, but he still often visits his hometown to play football or to go skiing.